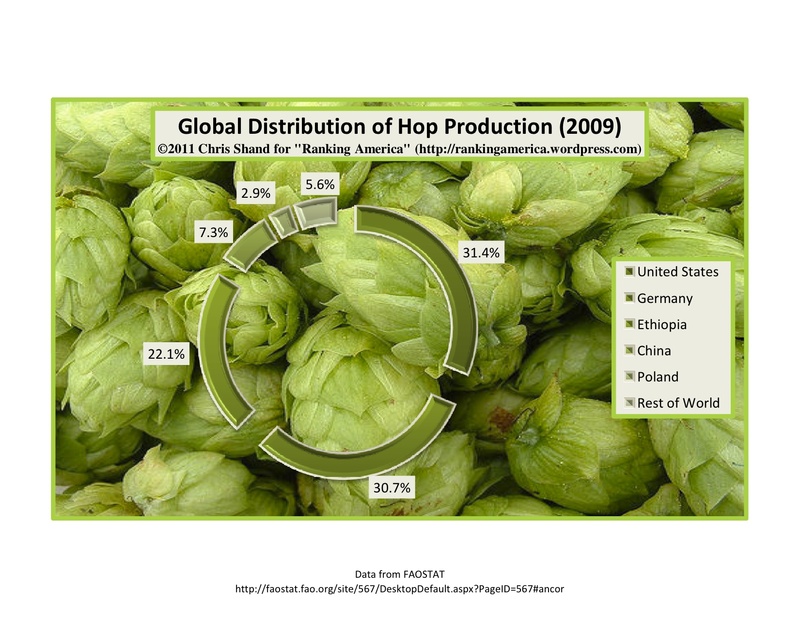 According to data from FAOstat in 2009, the United States produced 42,945 tonnes of hops, or 31.4% of the world’s total hop supply. 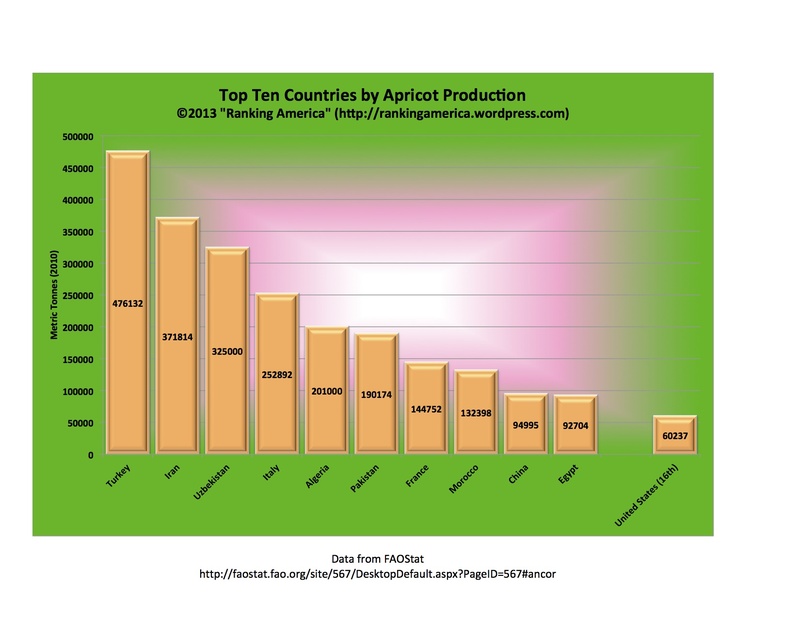 That is enough for the United States to rank first in that category. 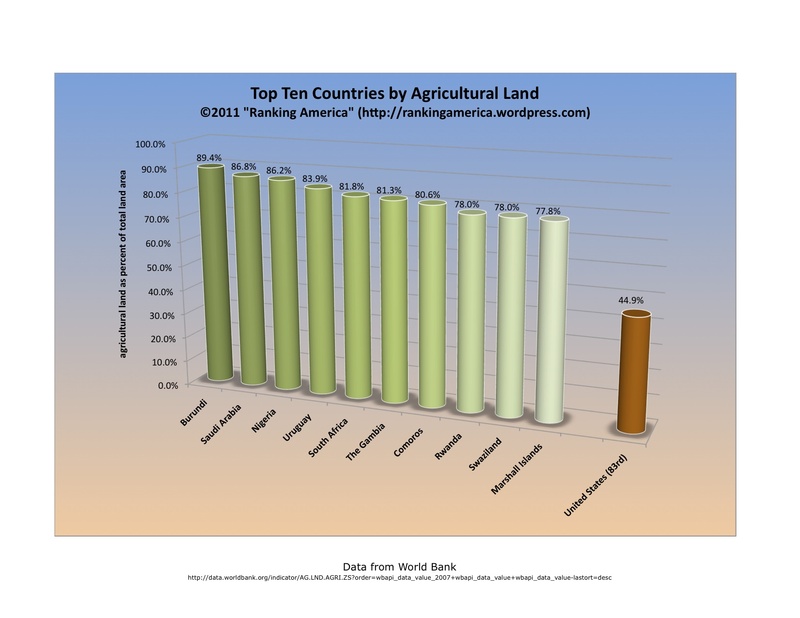 According to the World Bank, 44.9% of the total land area in the United States is agricultural land, which makes the United States rank eighty-third in that category. 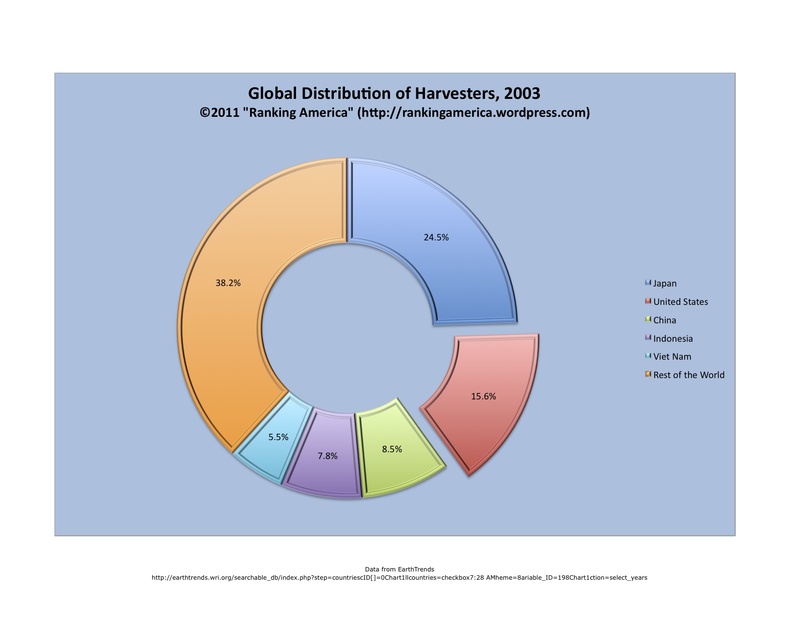 Burundi ranks first, with 89.4% of its land used as agricultural land. 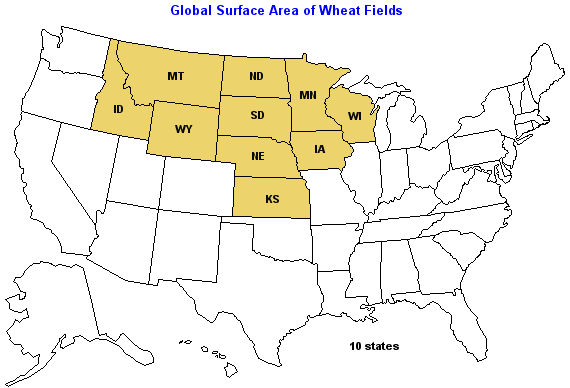 According to the World Bank, American farms had an average cereal yield of 6,704 kilograms per hectare in 2008, which was enough to make the United States rank thirteenth in that category. 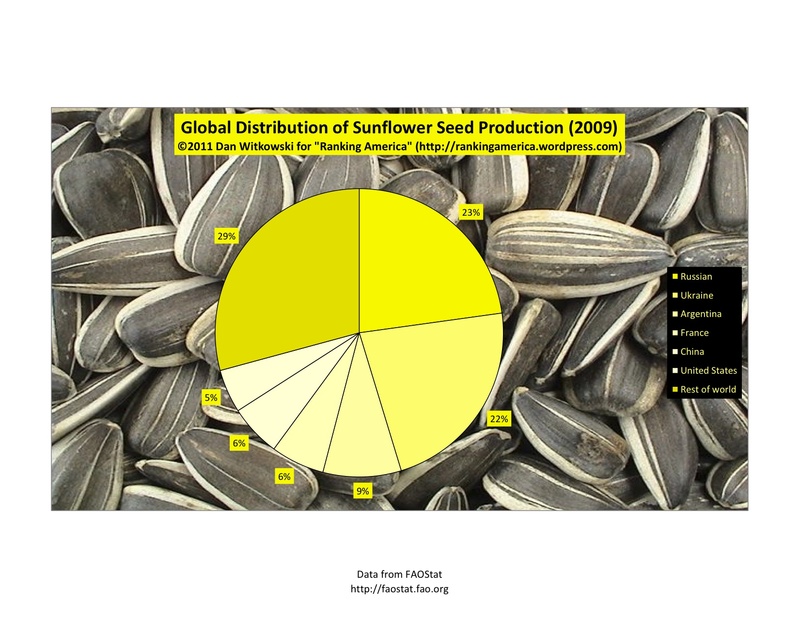 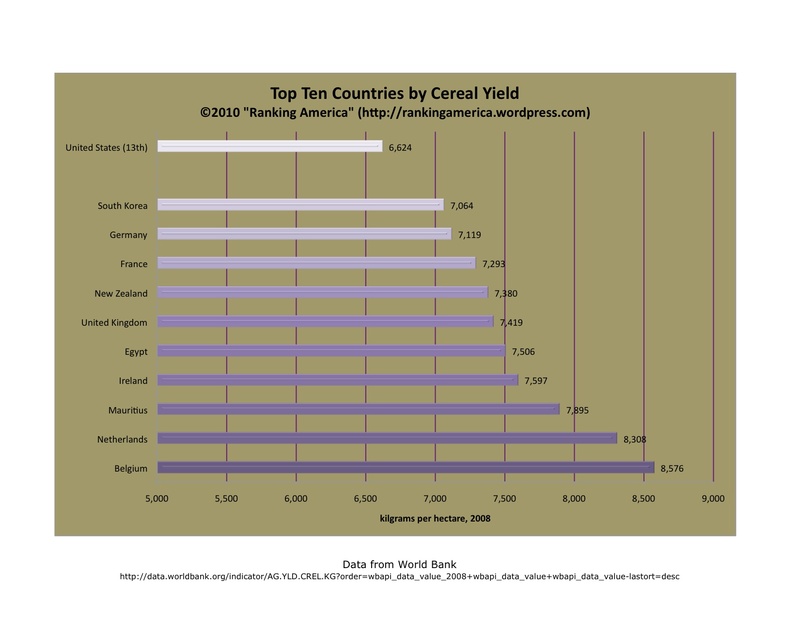 Belgium ranks first, with a yield of 8,576 kilograms of cereal per hectare.